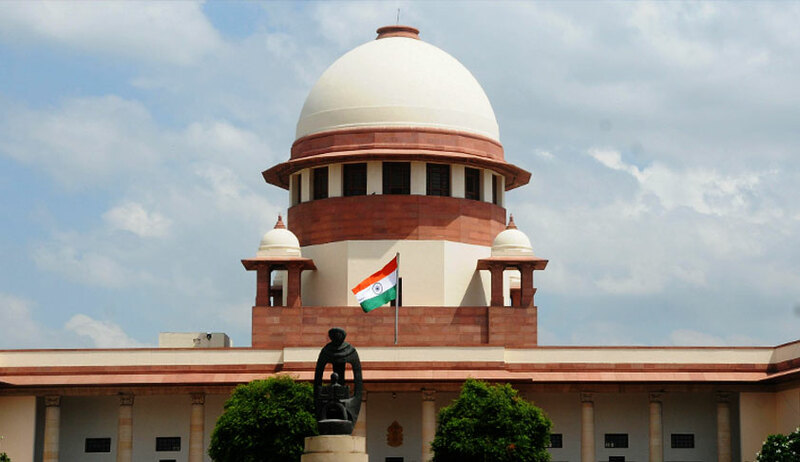 The Supreme Court has agreed to hear tomorrow the plea of Congress and JD(S) against appointment of BJP MLA K G Bopaiah as the Pro Tem Speaker for the floor test, also scheduled for tomorrow, as both parties said they feared replication of “Operation Lotus” of 2008 when Bopaiah as the Speaker of Karnataka Assembly disqualified several MLAs to save B S Yeddyurappa’s government. The apex court will hear the application at 10:30 AM tomorrow while the floor test is directed to be held at 4 PM. It is to be noted that Karnataka Governor Vajubhai Vala had appointed Bopaiah, MLA from Virajpet, as the Pro Tem Speaker hours after the Supreme Court preponed the floor test to Saturday and ordered that the mode of voting would be decided by the Pro Tem Speaker. This sent the Congress and the JD(S) once again to the Supreme Court on Friday evening seeking quashing of Bopaiah’s appointment while also praying that the floor test be video graphed. Both the parties submitted in their application that “there are grave and genuine concerns as far as the impartiality of the present pro tem Speaker is concerned. The said pro tem Speaker i.e. Shri Bopaiah was also the Speaker of the Legislative Assembly from 2009 – 2013 and had allowed the disqualification petition moved by the Respondent No. 3 (BSY), who was also the then Chief Minister, against some MLAs, in order to save his Government which was subsequently set aside by this Hon’ble Court in D. Sudhakar v D. N. Jeevaraju and Balchandra Jarikholi v B.SYedyurappa”. The application filed by the two parties said “the manner in which preparations for the floor test is being carried out seems to suggest that it is being designed to replicate defections orchestrated by Respondent No 3 in the year 2008 when he was again short of majority. The same is commonly known as “Operation Lotus”. They also alleged that BSY in tandem with the Central government is exercising influence through the Governor of the State to ensure that he sails through the floor test by hook or crook, in absolute disregard to Parliamentary practice and the well established convention of appointing the senior most member as the pro tem Speaker. It is to be noted that hours after the apex court ordered the Floor Test to be conductedtomorrow and the Pro Tem Speaker deciding the mode of the test, the Governor had appointed Bopaiah as the Pro Tem Speaker. The decision sent Congress and JD (S) rushing back to the apex court where they submitted that despite the settled parliamentary convention and practice for appointment of a pro tem Speaker, a junior MLA K.G. Bopaiah (BJP) with a “dubious and controversial record of passing biased disqualification orders has been appointed as the pro tem Speaker”. Challenging what it called shocking disregard of “binding parliamentary convention and long-standing parliamentary practice of appointing the senior most member of the House who is currently serving his 8th tenure, the parties submitted that they apprehend that “the sole purpose of appointing a relatively junior member of the House is nothing but an attempt to seize and manipulate the floor test slated to be held on 19.05.2018 in the House, pursuant to the direction passed by this Hon’ble Court”. The applicants also contended that, “In the absence of any videography of the proceedings, the Petitioners would not be able to demonstrate to the Court if there is any illegality and will be severely handicapped to apprise this Hon’ble Court in this regard. “The Petitioners verily apprehend that the floor test will not be conducted in a free and fair manner and therefore are requesting for videography of the proceeding of the floor test to be conducted on 19.05.2018”. They also prayed that voting be conducted by a ‘division’ of persons into separate and segregated lobbies so that the persons in the different lobbies can be counted in a transparent manner.